Jesus has authority over sickness and death. This same authority has been given to His followers, so praying for the sick should be a normal part of obedient Christian life. It’s sometimes said, without a great deal of exaggeration, that when we read about Jesus, He’s either healing someone, returning from healing someone, or on His way to heal someone. That’s certainly true of Luke 8:40-56. What does this passage tell us about healing? There’s no qualification to receive it. It’s not something we can deserve; it is a gift of grace that all of us get to ask for, no matter who we are. It’s not about you, it’s about the One who heals. 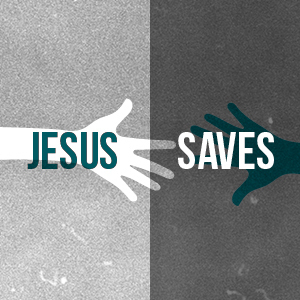 It’s all about Jesus. In the Gospels, we see Jesus healing women, men, Jews, Gentiles, poor people and rich people, powerful people, and social outcasts; you name it, He healed them! In our main passage, we meet two very different characters who were at opposite ends of the social spectrum. They would have had very different ideas of where they stood before God, and they approach Jesus in two very different ways, yet Jesus provides the healing that both of them seek. There’s nothing we can do to deserve healing, but there’s one thing that both of the characters in our passage have in common: faith. They both believed that Jesus would heal. We’re told in Mark’s Gospel that the woman with the bleeding said to herself, as she approached Jesus in the crowd, “If I touch even his garments, I will be made well.” And in Luke’s version of the story, Jesus commends her faith: “Your faith has made you well”. God loves faith. He is looking for faith, and He loves responding to our faith. Let’s not over-complicate the relationship between faith and healing. Jesus said in Matthew that if you have faith the size of a mustard seed, you will move mountains. Any amount of faith is enough faith. When we do not believe, we do not ask. We’re unlikely to regularly ask for something that we don’t believe is going to happen. Let’s be a people who ask! If you want to build a strict methodology around how Jesus healed people throughout the Gospels, you’re likely to struggle. In Luke 8, he heals Jairus’ daughter by taking her by the hand and telling her to get up. Elsewhere, He rebukes the sickness in someone, but sometimes He just tells them that they are healed; often He heals people that are right in front of Him, but sometimes He healed from distance. On one occasion He heals a blind man by spitting in the dust and putting the mud on the man’s eyes! Jesus simply doesn’t allow us to base our faith for healing on certain actions that we can perform: as though if we just jumped through the right hoops, then He’d be obligated to heal. We’re not healed by a ritual, we’re healed by Jesus. This isn’t like casting a spell; this is coming before our personal Lord and Saviour and asking Him to heal. See Matthew 9: 35-38 & Matthew 14: 13-14. In Luke 8, Jesus isn’t content with just physically healing the woman with the bleeding. He doesn’t want her just to go away physically healed, He wants to do something even more important; He wants her to know she is loved. Jesus wants to calm her fears. He wants to talk with her, to reassure her. He helps her understand how she’s been healed. And He makes her healing public so she can be welcomed back into her community. He calls her, “Daughter”. This is the only time Jesus is recorded as having called someone this in the Gospels. It’s highly personal, it’s full of love. When we pray for the sick in the name of Jesus, this same love and compassion for them should be our motivation. Every person we pray for to be healed should leave feeling loved by us and reminded of God’s love for them, no matter what measure of healing has come. All of us were afflicted by a devastating disease, a fatal infection that would surely lead to our death — what the Bible calls sin. Sin is our rebellion against the God who loves us and who made us to know Him and live in harmony with Him. Sin is far more than a wrong action or a bad decision here or there, it’s a sickness that infects every part of us. But there is a cure. Through the cross, Jesus provides complete and eternal healing from this disease and it’s debilitating symptoms of guilt and shame, not to mention it’s fatal consequences. Physical healing in this life, however wonderful, is temporary. We’ll all get old and our present bodies will pass away. When Jesus heals the sick, it serves as a foretaste of the promise of eternal life for all who believe in Him. 3. It is the Kingdom of God in action in the here and now. Jesus came to proclaim the Kingdom of God and destroy the works of the Enemy. And the impression we get from Jesus more often than not is that sickness is the work of the Enemy. Every time Jesus heals the sick, it is the Kingdom of Heaven overthrowing the brokenness of our fallen world. In the Bible, we see that the Kingdom of God is here now but is also coming. It’s here and yet not fully here. You know this to be true because sickness is still clearly part of our world. It’s why we still see illness, injury and death. This side of heaven, we may never fully understand why some people get healed and others don’t. But when Jesus returns to bring the Kingdom to complete fulfilment, sickness and death will be gone forever. We live with a promise that one day every prayer for healing will be answered. All those in Christ will be perfectly and eternally healed. Every body will be made new along with all of creation. Until then, you get to partner with God in bringing His Kingdom now on earth. Jesus explicitly tells us to pray, “Thy Kingdom Come”. When we pray for healing, that’s what we’re doing. Let’s be obedient to the instructions of Jesus and persevere in praying that His Kingdom would increasingly break in and the sick would be healed. Healing isn’t just something God does, it’s something He is. In the Old Testament, before Jesus came, God healed people through the prophets. After Jesus ascended, God continued to heal people through the early church. And He continues to heal today, through you and me, and His worldwide church. He is a God who heals, yesterday, today, and forever. Healing the sick should be a normal part of following Jesus. As Jesus’ followers, we are called to imitate Him. Jesus healed the sick, so we should too. John 14:12: “whoever believes in me will also do the works that I do; and greater works than these will he do, because I am going to the Father.” By the power of the Holy Spirit, we are to minister as Jesus did. If we are obedient to this calling, we will bless and build up the church, and we will open up opportunities for those who don’t yet know Jesus to powerfully encounter Him. The Apostle Paul talks about miracles like healing as proof of the truth of the Gospel — that Jesus really does have authority over sickness and death. This needs to be demonstrated inside and outside of the church. How does the topic of healing make you feel? Expectant, excited, nervous, or skeptical? Do you think Jesus still heals today? Is supernatural healing something that’s reserved only for Christians to receive, or can we pray for unbelievers too? How do miracles help with evangelism? Some people don’t get healed, but we should continue to pray for the sick in faith anyway. Why? Has anyone ever witnessed or experienced supernatural healing from Jesus? Share stories together in your group. If not, discuss the testimonies shared by Chris, Jess, Esme and Gemma on Sunday evening. Pray for anyone who would like to be healed. Pray together to be given more faith for healing. Pray together for boldness in stepping out in faith and praying for people to be healed both inside and outside the church.